Research and International Relations has announced that Dr. Christina Wolfson, Professor in the Department of Medicine and in the Department of Epidemiology and Biostatistics and Occupational Health, has been appointed as McGill’s new Deputy Research Integrity Officer, commencing on Jan. 1, 2016. Effective June 1, 2016, Dr. Wolfson will become McGill’s Research Integrity Officer for a three-year term, ending May 31, 2019. A McGill alumna, Dr. Wolfson brings a wealth of knowledge to her new post, including diverse academic expertise in epidemiology, neuroscience, geriatrics, and biostatistics. Dr. Wolfson also brings nearly 20 years’ experience in progressively more responsible roles in management at the University and its affiliated hospitals, as well as in the Canadian research community. Her leadership positions have included Director of the Centre for Clinical Epidemiology and Community Studies at the Lady Davis Institute for Medical Research (2000-2006), and Director of the Division of Clinical Epidemiology of the Department of Medicine of the MUHC (2007-2010). She is currently the Director of the national endMS Education and Training Network. Dr. Wolfson is one of three principal investigators on the Canadian Longitudinal Study on Aging (CLSA), a 20-year study of 50,000 participants in which she leads the Neurological Conditions Initiative and the Veterans’ Health Initiative and serves as the Director of the CLSA Statistical Analysis Centre. She is the co-principal investigator on a recently completed multiple sclerosis risk factor study conducted concurrently in Canada, Italy, Norway, Sweden and Serbia. 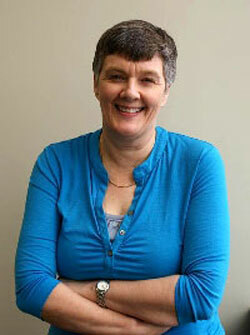 Among her many honours, Dr. Wolfson was on the Faculty Honours List for Educational Excellence in the Faculty of Medicine in 2015 and she received in 2014-2015 an Award for Teaching Excellence in recognition of exceptional contributions to the Department of Epidemiology, Biostatistics & Occupational Health. She was also the recipient of the 2015 Paul Stelmach Award and Wendell and Margaret Laidley Fellowship from the Royal Victoria Hospital Foundation.